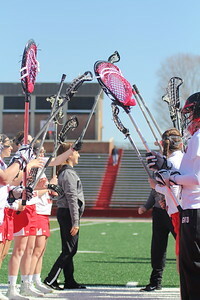 Coach encourages team before the start of the first game. 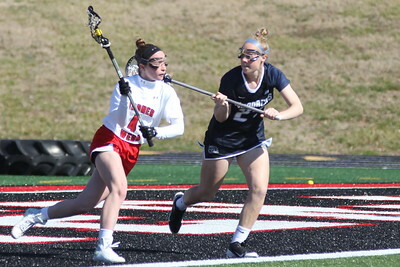 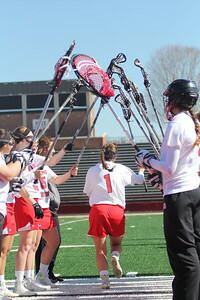 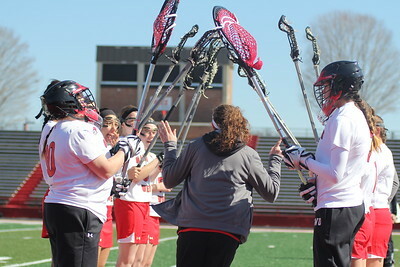 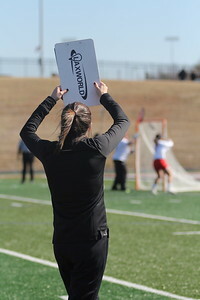 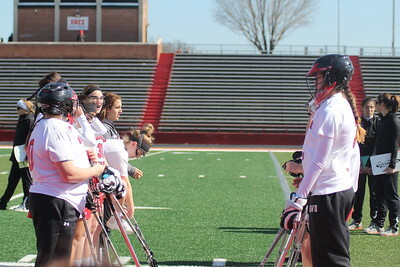 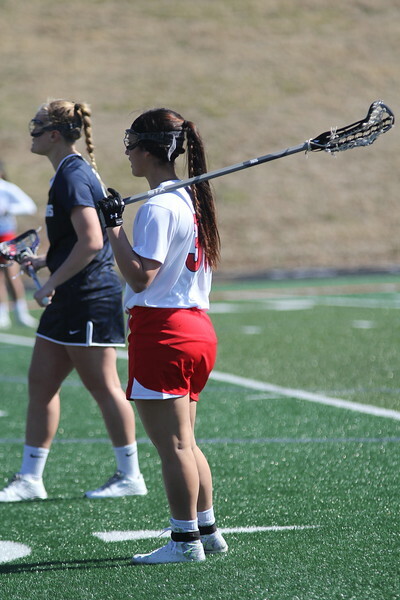 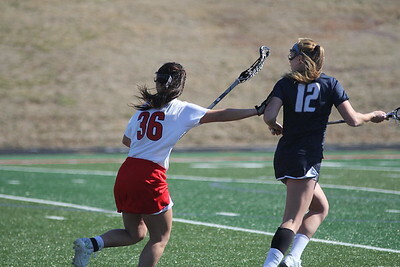 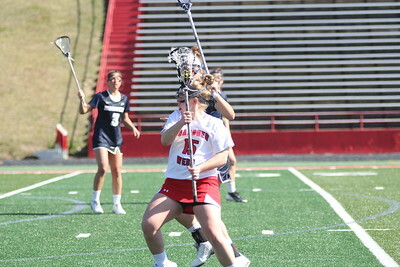 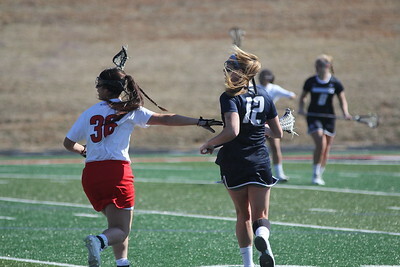 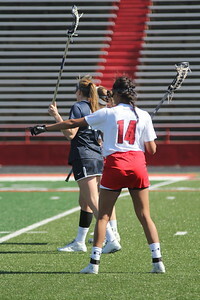 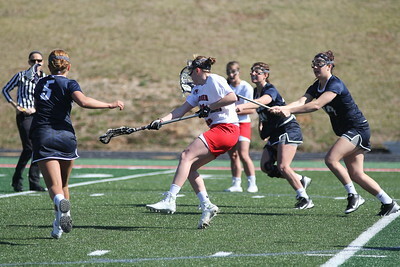 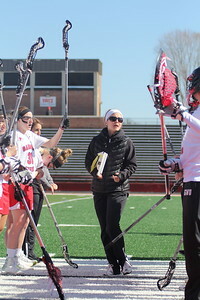 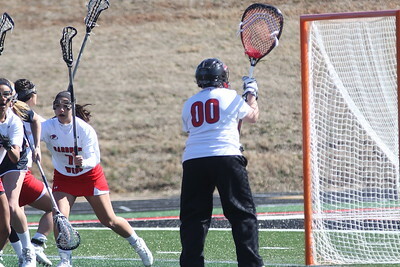 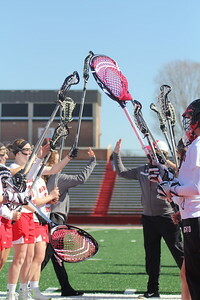 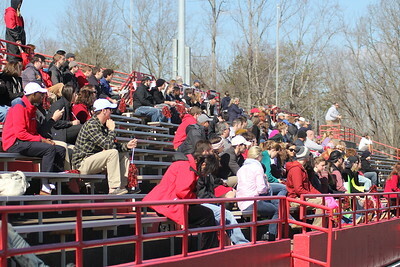 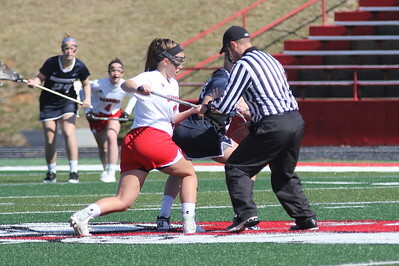 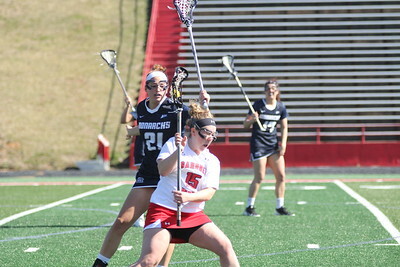 On Saturday (Valentine's Day), February 14th, Gardner-Webb hosted the first ever women's lacrosse game. 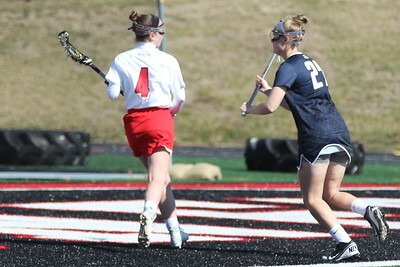 GWU put up on tough fight but fell short in the end to Old Dominion. 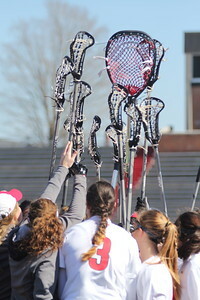 Teammates cheer for each other before the start of the game. 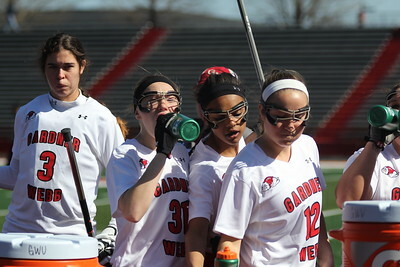 Team hydrates before the game. 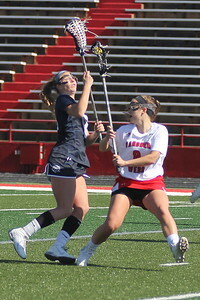 Lexi Kaskofsky holds off competitor. 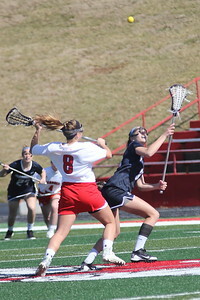 Lexi Kasofsky holds off competitor. 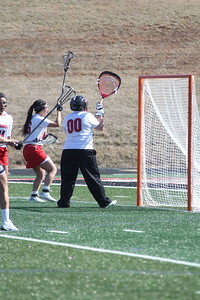 00, Reagan Hall defends the goal. 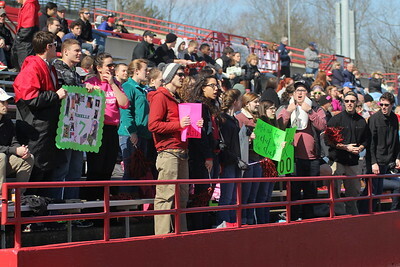 Friends of teammates gather to support GWU women's lacrosse. 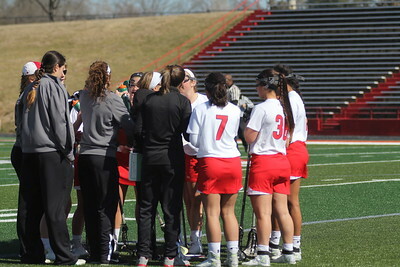 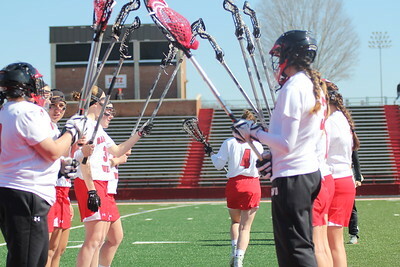 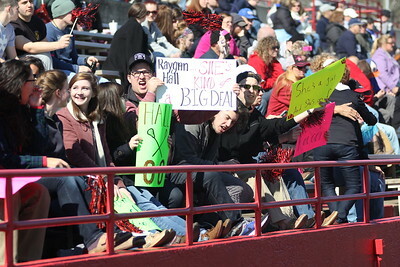 Friends of teammates gather together to support GWU women's lacrosse. 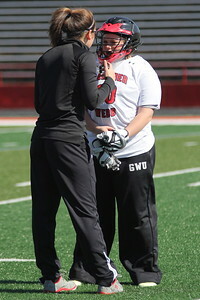 Coach and Reagan Hall talk between plays. 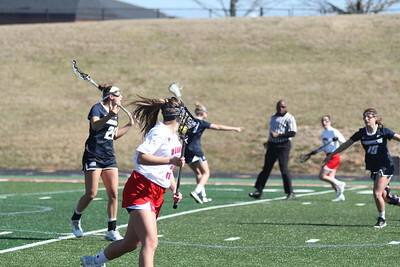 4, Emma Rose runs with the ball. 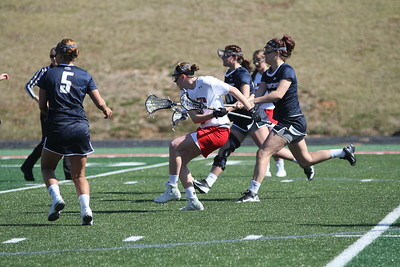 GWU goes toward the goal.